I’ve been a Microsoft MVP for a little less than 2 years now. It’s been a great journey so far, and I can’t wait to see how next year will turn out with the 2016 wave of releases from Microsoft. It has also been the next logical next step after I completed the Microsoft Certified Master (MCM) certification program in 2012. I’ve been working in IT for 25 years, and each year feels more exciting than the previous to work with Microsoft technologies! Ever since becoming an MVP in 2014 I felt that I should be concentrating more on the single discipline I was awarded for, SharePoint Server 2013. Being a small-business owner however, I tend to and enjoy working with multiple technologies, and not all of them tie back to SharePoint, if at all. I’ve spent numerous hours working with Microsoft Datazen, Windows 10 IoT Core, Microsoft Azure and other aspects of Office 365 besides SharePoint Online. 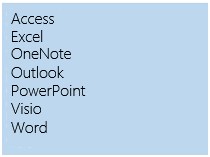 Since the MVP award and contributions (thus far) are targeted for a single technology, I sometimes had the feeling I wasn’t doing ‘enough’ SharePoint, even if having worked with SharePoint since the very earliest versions of SharePoint. Microsoft announced publicly about the changes for the MVP award in early October. The main change is that MVPs can now be recognized for multiple disciplines across the Microsoft stack, and not just in a single product or technology, like SharePoint or Exchange. This change trims the existing 36 technical expertise areas down to 10 broader categories. For me, personally, the change means that in the future, I get two huge new opportunities. First, I’m recognized as being part of Office Servers and Services, which SharePoint is a core part of. In the same category there is also Office 365 in general, Exchange, Skype for Business and Yammer. I’m certain that having award categories with such detail, updates to the categories in the future are inevitable as products float across services and new products are being introduced. The change means I can more confidently spend time outside pure SharePoint-related projects and engagements, without having to worry that much if I’m still recognized as someone who knows a bit about SharePoint. In the future I can be recognized for more than one technology, which is how it should be. The second benefit is that I can now more confidently devote time to learn other products, and benefit my customers and the community. 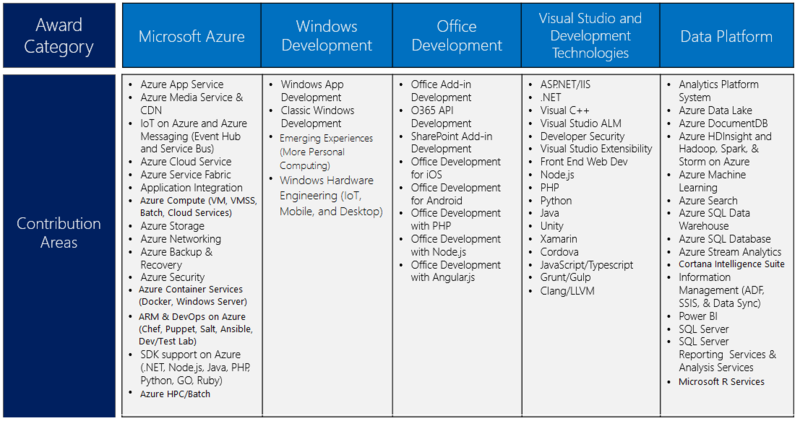 Looking at the broader categories, I can see that I’ve already worked a lot with the Microsoft Azure, Windows Development, Office Development, Data Platform, Cloud and Datacenter Management and Enterprise Mobility award categories. I have to admit though, I’m fairly out of the loop on the latest topics on some of the subtopics, such as Linux in System Center! Maybe something to catch up on this coming weekend. A footer note on the announcement was that MVPs can – in the very near future – publish content to Microsoft’s Channel 9 service. People who have real world experience in numerous technologies can now publish content of their own, and share more with the community. I had to do a quick search on Channel 9 to see if any of my previous videos are still there, but for now there’s only a placeholder for the TechTalks 15 talks I gave in late August. I’m hopeful some of the content from those sessions will be published in the coming days. For me, this new opportunity is a big and welcomed opportunity. I would be immensely happy even if nothing else changed, but the possibility to publish on Channel 9! I’m hopeful I can block enough time to record and publish content of my own in the coming weeks to Channel 9. If you have a specific topic or issue in mind you feel should be in there, let me know!